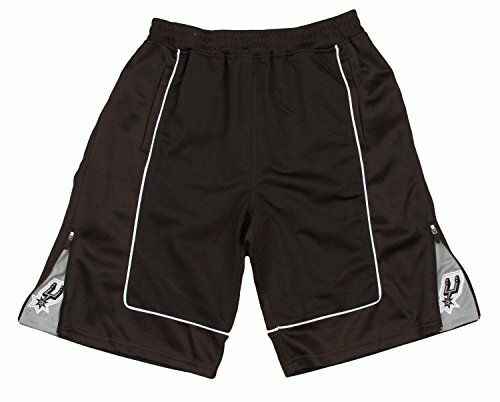 These snazzy shorts are great for hitting your own sweet spot with your San Antonio Spurs fanaticism! They feature bold team colors and embroidered team logo on each leg. 14 inch inseam. BIG and TALL mens sizing. Measurements are: 2X: 42" waist 28" long, 3X: 46" waist 28" long, 4X: 48"waist 30"long, 5X: 52" waist 30" long.